I was late in the afternoon when Devin departed with Marudo to return back to Niigata. After I said my goodbye’s to Devin and Marudo, I wandered into the Tani Fish Farm office where I ran into a few people who had themselves been long time customers of Kenji. Among them was a couple from Indonesia who I had met a few years back as well as an elderly gentleman joined by his two children: a son and a daughter. During the auction, I had noticed this little family of three since they were sitting directly across from us. Over the course of the day, I noticed that the daughter was quite fluent in Japanese, Chinese (both Cantonese and Mandarin!) and English as well. We got to talking and both found in each other a kindred spirit. Her name was Cathy and she was the translator for her father, Mr. Lo. “It’s so nice to meet another Koi musume (daughter).” She said to me. This was something that had never really dawned on me. 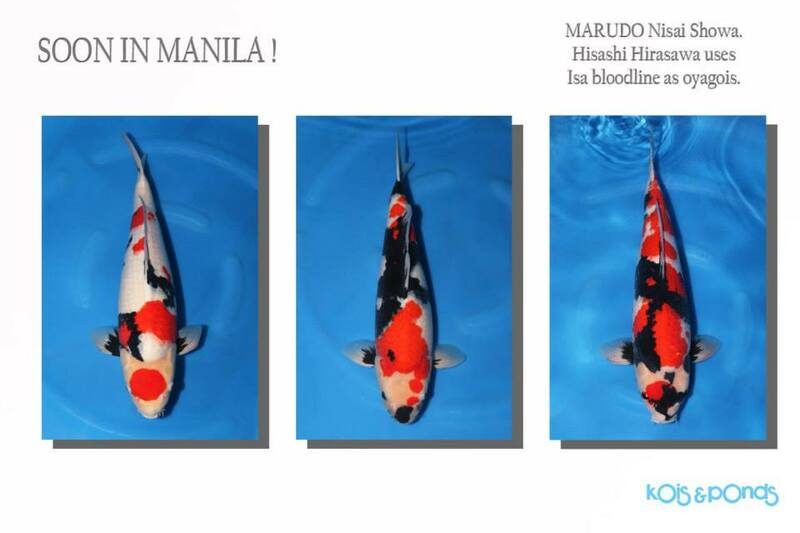 Sure, I had met quite a few women in Koi already, but most of them had been either wives of other Koi professionals or daughters in the hobby. To meet someone who had been raised in the Koi business and continued on to help their father in the Koi world, it was only then that I realized that she was the first person that I had ever met who shared this same history as I had. Although she did have a regular job, she took it upon herself to be available for her family whenever they were to travel to Japan, mostly because of her polyglot nature. 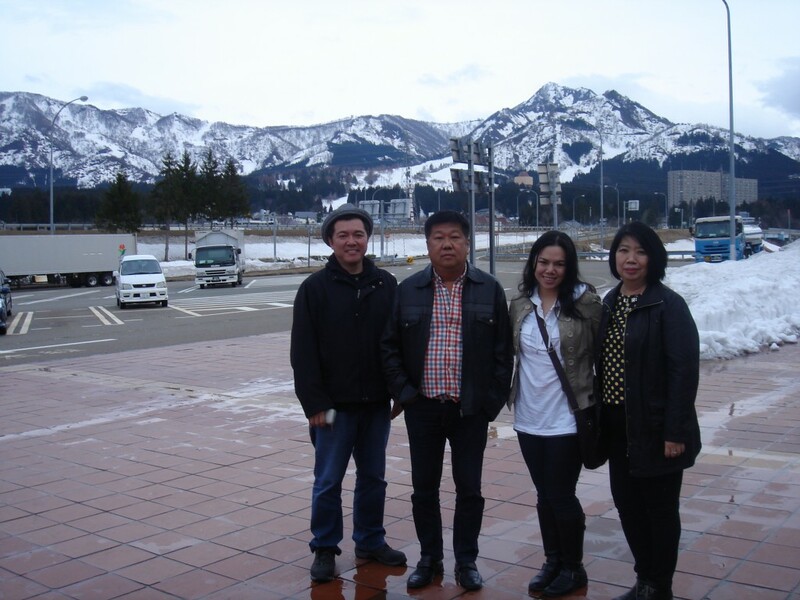 Cathy had studied in a Japanese University and was currently working in Hong Kong. Because of this, she was not only fluent in Cantonese and Mandarin, but also Japanese and English as well. They were scheduled to leave the following day to return to Hong Kong, so that night when Kenji took us out to dinner, we all bonded over great Japanese food, wine and Koi talk. The following day we left Tani Fish Farm for the four hour drive up to Niigata together with Kenji and an Indonesia couple from Surabaya. I recall having met them before during a previous trip to Japan with my dad and Kenji and while they were more of the reserved type, they were quite a joy and great fun to be with once they got to talking. They were the owners of Mawar 21 and had been buying Koi with Kenji for over 20 years – right about the same time my dad started Koi! As most drives for me go, I got as much sleep as I could, which was so easy to do especially since Kenji’s van is more like a first class seat on the airplane complete with plush leather seats and a foot rest. I woke up just as we approached Niigata and just in time for me to see the “Welcome to Niigata” signs which is a universal cue for every Koi enthusiast driving up to Niigata to pull out their media documenting devices and capture the moment. I had seen it a few times now through the lens of a camera, so I thought that this time I would enjoy the sign for my own eyes. Sorry guys! You’re just going to have to drive up to Niigata yourselves to see it! lol. We stopped to stretch our feet and capture a few photos. Kenji had organized a dinner together with nearly a dozen other breeders so Devin would meet us at the restaurant instead. After dinner, I returned with Devin to Marudo’s Staff house where we were staying. 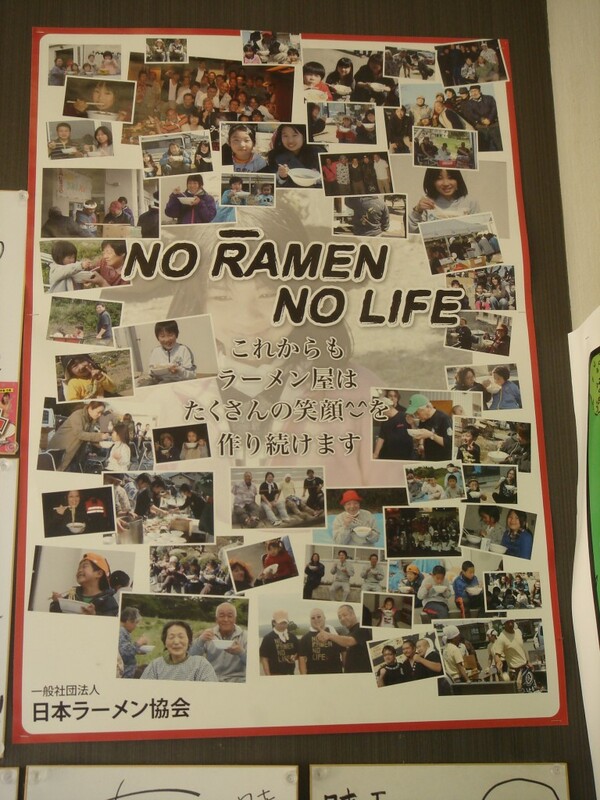 The following day for lunch, Marudo decided to bring Devin and I out to ramen. Reference to Bob Marley’s No Woman, No Cry? Apparently reggae music was quite popular in Japan, which you never have guessed unless you saw it for yourself. No pictures, no english translations, no english letters…everything in Japanese. And if you’re not careful, you can end up with just bowl of raw egg. Devin reads everything for me, then we insert our bills into the vending machine, make our selection, then the machine prints out a little stub, which you then hand over the the server when you enter into the dining hall. They tear the ticket in half where the perforation lies then hand you the one half while taking the other half. 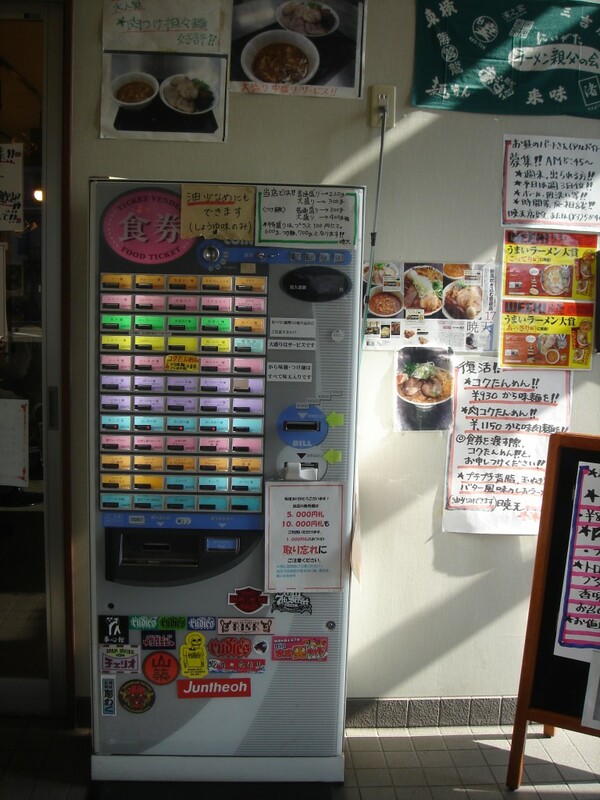 One more thing about ramen in Japan: upsizes are free. You can get a small bowl or ramen or a big bowl of ramen all for the same price. Side note: they really aren’t kidding when they say oomori (big size) – those are really, really big. The lady greets us as we enter the dining area and asks us if we want a regular sized ramen or a large one. I settle for a small size since even that I can’t finish. 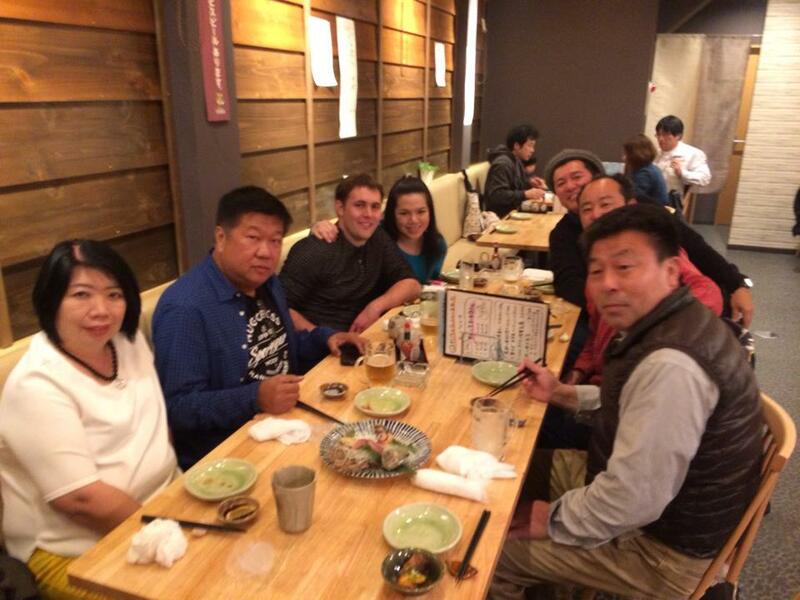 Just as we began our lunch, Papa, Kenji, Futoshi (Dainichi), Danny and his wife enter the same restaurant for lunch. 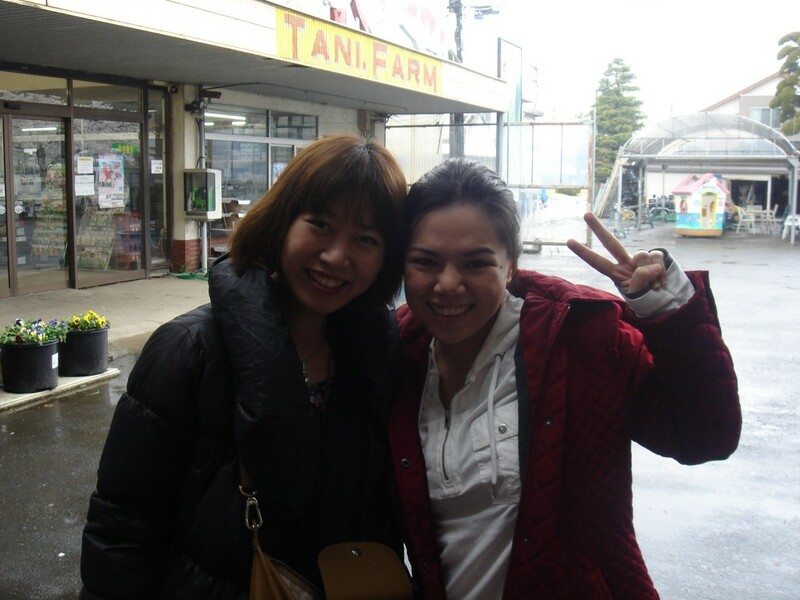 It’s not uncommon to run into friends when you’re going around Niigata, and we greet them with smiles and hellos. After lunch, Devin ran around the different farms to deliver packing slips to several breeders. Most of his Niigata purchases were completed in the Fall of last year, and he was shipping everything together with his spring shipment. Papa headed onto Marudo Koi Farm to pick out some Nisai Koi. Gorgeous Koi. That night, we all enjoyed a quiet dinner together before calling it a night early. Papa only had a couple of days left in Niigata before heading on to Hiroshima and Devin still had a lot of work to do before leaving.